Grounded in Christ — Sent to be a Blessing. Jeremiah is the very bottom of the Old Testament’s sadness. A prophet of struggle who spent much of his time in sackcloth and ashes, his message was the unwelcome news that there was no longer any way out of the mess. Things had gone too far and the die was cast – Jerusalem was going to fall and no amount of maneuvering would change that. 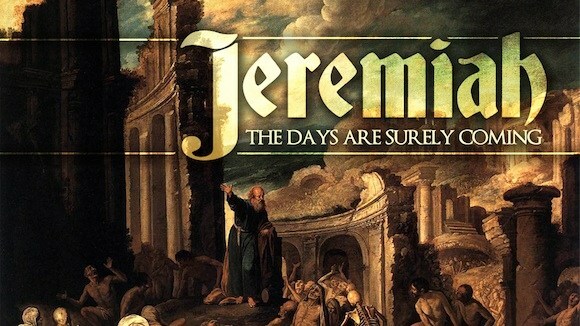 Jeremiah’s prophecies, God is still hoping to minimize the damage and keep people alive. God’s advice? Go surrender. If you stay and fight the scale of the opposition is simply too great. The residents of Jerusalem will easily be crushed and everyone will be killed. But there is a way that keeps people alive and God is in favor of it – go surrender now and live in the land where they take you. That’s better than being wiped out. And as we will see as we move ahead, God will continue to be with people in their captivity in Babylon and the insights gained will be some of the deepest and most mature that the Old Testament produces. What looks like a total loss is actually a doorway to seeing through new eyes. We often fail to think practically when we find ourselves in a crisis. Overwhelmed by either our circumstances or our principles, we see our options in limited ways and our choices all seem to be death producing, either literally or figuratively. To fight through a seemingly impossible situation seems like the only choice we have and seeing only one bad choice paralyzes us. As the Old Testament unfolds, the people gradually begin to see God in new and more nuanced ways. God’s anger that points to death, is also mitigated by God’s grace which would prefer for people not to die needlessly. There is a tension between those things that produce death and the natural outcomes of those actions along with the outcomes that God desires which are higher and not always attained through the choices that people make. In other words, God would prefer things to come out differently if only people would cooperate! This lesson is true for our lives as well. We often engage in something that ends up causing hurt and pain. In some ways, literally or figuratively we become partners with death rather than life. Not every path ends up with a perfect choice that leads to an outcome that we’d like to see. We feel stuck. But scripture now points us to two paths to always keep in mind. First, don’t ever assume there is only one choice – look for a path that minimizes the loss, even if it isn’t what you’d prefer to do. And second, Jesus’ presence with us on the journey means that there is always and possibility of grace and forgiveness and reconciliation radically altering the choices and the feelings before us. Left to our own, we are stuck simpy being wise. But with Christ, the wisdom and the work of Jesus make options appear that we could never construct alone. Although the above verse was written over 700 years before Jesus was born, it did not take early Christians long to make the connection. They had been waiting for this for centuries and when they saw Jesus before Pilate and then hanging from the cross, they sensed that this was what they had been waiting for. The itinerant rabbi who had healed, taught and shown signs of God’s work and power had seemed different than anyone they had ever met before. 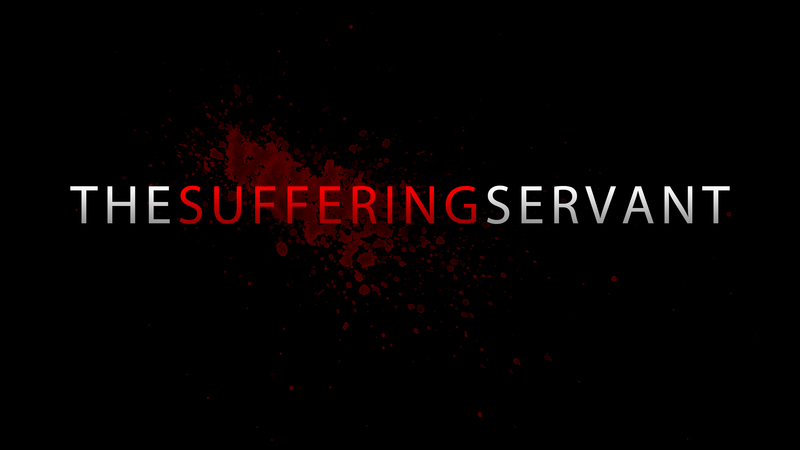 But when they saw him unjustly tried and convicted without as much as a single defense they remembered Isaiah 53:7 – the suffering servant. Jesus would eventually come to be seen as the one who would fulfill Israel’s destiny. What the nation had been called to do, it had fallen short of accomplishing. By the time of Isaiah’s prophetic work it had fallen so far that almost no one believed that it would ever become what God had promised would come to be. But God had not forgotten and was as committed as ever. What God had started in Israel’s history as a chosen people would be fulfilled by one their own serving as savior, not just for Israel, but for the entire world. Jesus would be the one that had been predicted, longed for and waited for. His willingness to live a full life shows us what life can be. His willingness to quietly suffer an unjust death at the hands of Pontius Pilate shows us what the suffering servant would do to show us love. And of course, the resurrection would vindicate him as someone like none before him. When someone starts to read through the Old Testament from start to finish, there is a danger. The most nuanced and mature thoughts in the Old Testament are heavily weighted to later. That’s not to say that there is nothing important in the early books – quite the contrary. But that foundational material is also in the midst of some rugged history, distressing events and interpretations, and by itself it can be quite confusing. Many have simply wanted to stop reading. But as we move further into the Bible, we will start to notice a shift. Israel has been living this out long enough now to experience both success and failure. In the process, people of faith are reflecting on this in deeper and more nuanced ways. Where huge issues arise, God speaks through prophets and offers words of clarification and correction. Not every idea that people had about God was right. Not every action that God’s people did was faithful. Things are getting clearer and who God is is also getting clearer. Elijah is one such prophet. In the verse above God uses him to bring hope to a widow and her son who are in danger of starvation. We will meet a few more prophets in the coming weeks. But through Elijah we see an early prophet dealing with harsh circumstances that could lead to death. Through him, God intervenes to bring life. 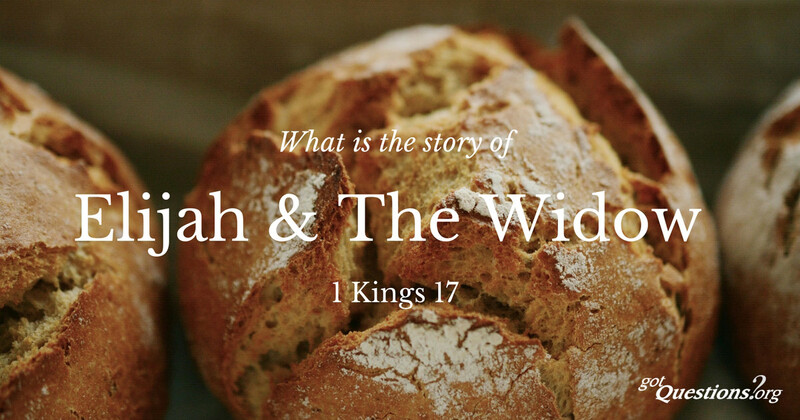 Jesus will refer to this act later in the New Testament because for him, what Elijah does with this widow gives a better lens into who God is. You will notice this a lot with Jesus. He doesn’t just hand people the Jewish scriptures as a whole. He teaches using it. In so doing he picks and chooses things that he finds most important and helpful. And because he is God in the flesh, his teaching can focus directly on what God most wants us to hear in ways that those who wrote the Old Testament books could not. Jesus is sharing firsthand what all the rest had to share secondhand! So, good news! If you aren’t thrilled with how the Old Testament has been unfolding so far, neither is God! So the prophets are coming to let us know that God is working on something different and more life giving. It is a reminder that God is not done yet – there is still more to come. When Solomon died, he left his kingdom to a divided family. King Rehoboam, the king in the passage above, took over. People tried to discern what Solomon’s death meant for them and for the kingdom. With Rehoboam in charge, what would Israel be like? The story behind this passage is too complex to share in full, but the short version is that when Solomon was king, not everyone felt like they had been treated well. Some felt that he had been unjust and harsh. They resented it. When he died and his sons took over, people approached Rehoboam and expressed their frustration with the way things had been and wanted changes. Rehoboam, discussed their issues with some the older, wiser people to get their advice. But when they shared it, he didn’t like it so he talked to some younger, brasher people who told him to act strong and powerful and not negotiate with these people. Long-term, the advice of the younger, brasher people proved to be wrong and the kingdom imploded into hundreds of years of decline – eventually ending with the exile in to Babylon. What was it that King Rehoboam was counseled to do? Serve the people and speak well with them and to them. If he would do that, they would serve him in return. 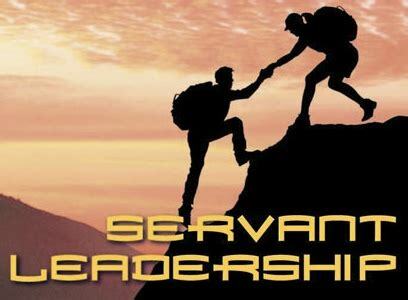 Servant leadership is a formal term today. It is based on two important things finding their way into one person. The two things are “leadership,” taking responsibility for helping a group of people accomplish something; and “servant,” someone who serves others. We often think of leaders as in charge and being served by others. There are images of this in the news, in movies and on TV. But effective leadership, the kind the Bible urges brings these two together. We hear about the chance to be this kind of person in Rehoboam’s crisis. But we see what it really looks like in Jesus. Any of us can be servant leaders. All of us have the chance to lead someone or something and make an impact. So, what is God calling you to lead and make happen? How can you do it in a way that allows you to be a servant as you do? If you lead in ways that care for the people you mobilize, people will respond and join in doing amazing things that will change the world. 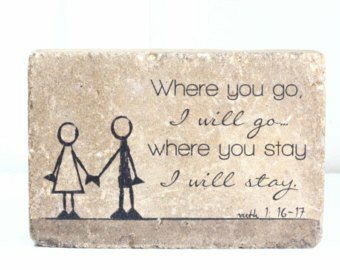 While we don’t always want to think about it, every person will eventually reach the end of his or her life journey. Death is as certain as birth. We start by leaving the womb. We end by returning to the earth. What makes each of us unique is how death comes and how we approach it. Each of us will leave a legacy that extends beyond the years we live. In the text above, King David is very aware that he will soon die. Perhaps he had denied or ignored that truth earlier in his life, but now he is clear. Death will soon take him. So he calls his son Solomon, who will be the next king, and gives him instructions. There are expectations and responsibilities to be passed on. David doesn’t want to leave this to chance, so he speaks clearly to Solomon about this. We see the same thing happen near the end of Jesus’ life. During the last week of Jesus’ life, even though he was still relatively young, it became clear to him that the opposition was mobilizing and that he would soon be arrested and probably killed. So he called his followers together and spent an evening preparing them for what would lie ahead of them without him being there. King David and Jesus both share something very important. They have a vision and a commitment to the future that extends beyond their own physical lifetimes. They understand that they are part of something bigger and have the ability to make an impact, in good ways, well beyond their deaths. Neither was afraid to talk about it with the people closest to them. The results were that the next generation was blessed by their commitment and their foresight. Jesus’ willingness to plan for life after the cross was the beginning of the church. We live nearly two thousand years later in a faith community that exists because Jesus took steps to have his followers ready to take up roles of leadership and responsibility. Our lives will not be that different. If you are reading this, you have left the womb but have not yet found the grave. But the grave is coming and we need not fear it – Jesus has shown us that. One key to living well and to dying well is preparing the world to thrive without us. Each of us can do that in our own ways, but all of us would be blessed and also be a blessing if we take the time to be as intentional as King David and Jesus were. Of course, we all have those moments of failure when in anger or frustration we vent or respond to someone in a hasty and less than gracious way. Our humanity and the emotions that go with it sometimes mean that we act in ways which are less than kind to each other – even people we care deeply about. 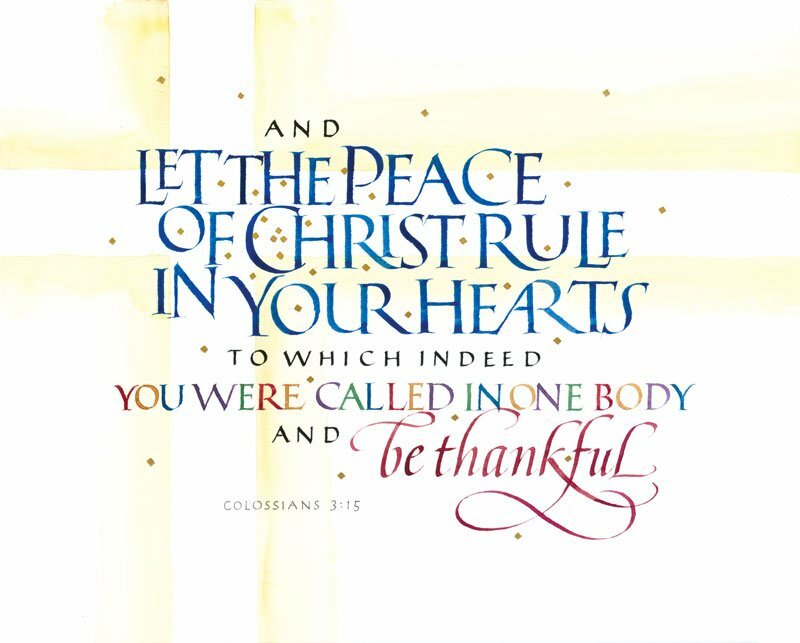 The verse above is the introduction to a passage from Colossians that shares how we are to live together. We are to act like Christ. And when we don’t, we are to allow grace to bring forgiveness and reconciliation to us so that next time, we can act like Christ. We are in the Christmas season. This is a lost season in many ways. Advent is overtaken by Christmas before Christmas comes. In fact, all the Christmas parties and advertisements lead up to the climax of the season, which is Christmas Day – actually only the first of twelve days of Christmas. Look in the papers this week and what will you see? “After Christmas sales.” In the eyes of the world, Christmas is over. For Christians, Christmas Day is the start of a season and the Christmas season is a way of grounding our lives throughout the year. The passage from Colossians reminds us that the best evidence that Christ came to earth is not just remembering the story of the shepherds at the manger. The best evidence is for Christ to continue to live in our hearts and minister to the world through our hands and voices. When Christ works in us and through us, we are transformed from who we would be on our own into extensions of Jesus into the world today. Why just celebrate that God came to earth for only a single holiday, when you can live it for a lifetime? This week Christmas is getting close enough to feel close. For people who have been preparing, the preparations seem to be done and mostly they are waiting. For others, the urgency of needing to prepare is now high enough to be a source of anxiety – “time to paint or get off the ladder” as they say. So this time of year is a wonderful time to consider thinking about how YOU would tell the story of Jesus to a friend and why you think Jesus coming to be among us matters. It is a story worth telling and people like the young woman I quoted in the paragraph above are very open to hearing it – even wondering about it. You may be the one who knows them well enough to be able to share it and be heard in an important way. 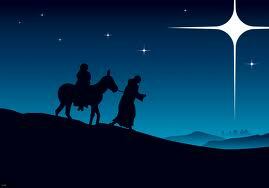 So, as we look to the manger and to the birth of Jesus, take a moment to go through the story in your mind. What details are most important to you? Why does Jesus matter to you? The Christmas story is more than most stories – it is a story that points to God’s commitment to humankind and to life. That makes it a story worth telling! We often underestimate people based on assumptions we make about them. Perhaps you have also received that treatment, being underestimated by someone else because they looked at you and assumed they knew what you are capable of. We may do it based on our impressions of a person because of the physical appearance of their clothing or hair, their race, gender, or any one of a number of other characteristics. In the process we do two things: we miss possible gifts that these people could bring to our lives and we also disrespect the God who made them. The verse above describes the giant Philistine named Goliath. When he saw that Israel had chosen a young man, still almost a boy, he dismissed him on the spot. 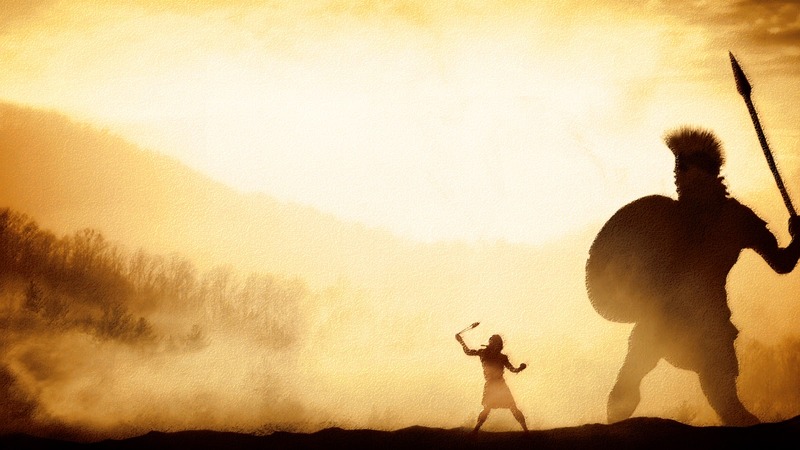 Surely this small, young person could be no match for someone as big and powerful as Goliath! With a mocking tone, he declares what he will do to young David as the crowds watch. Of course, the story is a famous one because young David and his slingshot were more than a match for the huge man in front of him. David’s skill had been honed in the pastures as he defended sheep from predators. David knew who he was and what he could do. He also believed that God had called him to stand before Goliath and therefore he was confident that he could and would prevail. God is often using people who others don’t give even a second thought about. Who have you looked past and not really even noticed because of the assumptions you bring about them? And when have you felt dismissed simply because someone else saw you in a particular way and couldn’t see what you are capable of? Each of us have been called by God to make a difference and given gifts by God so that we can. All of us would be blessed to see each other with the eyes of God, and treasure and encourage others to use their gifts to advance God’s work in the world around us. This famous passage is often used at weddings to declare a lifetime of faithfulness between two people preparing to share their wedding vows. It is rooted in the faithfulness that we embody when we look like God. Ruth was a foreigner to the Jewish people. She had married a Jewish man and he had died. Her mother-in-law had urged her to go home to the people where she had grown up. Ruth could find a new husband, establish a home, re-engage the religion of her own ancestors and her mother-in-law would head back to Israel alone to live out her days. But Ruth will have none of this. She had committed to not only the husband she had, but in the process she has become a part of his family. Her loyalty was not going to stop with her husband’s death. Ruth would not abandon this woman whom she loved so deeply. No, she would be sure to stay with her for her entire life. This image of commitment is grounded in how we are to be when we look most like God. We hear stories all the time of people who have a struggle and rather than deal with it, they flee to easier places and abandon those they claim to love. But Ruth, who would find her way into the family tree of Jesus, is lifted up for the way her actions mirror the actions of God. She is loving, hospitable, committed and unwilling to let hardship stand in the way of love. In some ways, only the tests of hardship demonstrate fully how strong the love actually is. That’s what the cross of Jesus shows us. In the midst of hardship and pain, Jesus had the power to flee and avoid the cross. He could have simply bailed on the entire project to share God’s deep love and commitment to humanity. But love refuses to back out just because it’s hard. Ruth gives us a glimpse of the kind of love God created humankind to have. Jesus makes it not only real on a larger scale, but the risen Christ also empowers us to love like that as well. Joshua was selected by God to take over after Moses’ death. Because none of the Hebrews who had been slaves in Egypt were to still be alive when they entered, Joshua was leading an entirely different group of people than the ones who had been at Sinai when the 10 Commandments were given. And because both Moses and Aaron were included among those who would die before entering, this new group of people is also traveling with new leadership. But that doesn’t mean that God’s overarching desires and commitments have changed. The law, given at Sinai, was to be a sign of the people’s connection to God. That covenant would remain in place as this band of travelers prepared to enter the Promised Land. And the criteria for leadership would also remain. 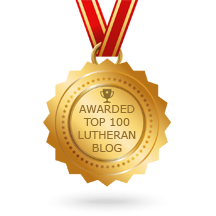 God speaks to Joshua and the verse at the top of this article declares God’s standards for leadership are awareness of the law, a willingness to take it deep within, and a taking care to be faithful to it in all things. Because Moses had been disobedient and insolent, God wants to start off on the right foot with everything clear for Joshua. This next chapter would need to go better. Of course, Joshua would lead the people into the land and the battles with the previous residents would eventually lead to the establishment of Israel as a people and as a nation. While the Exodus under Moses is story that moves toward freedom, the entrance into the land under Joshua is a story that establishes property rights – a sign of legitimacy for the people. Joshua would be lifted up as a courageous and important figure in Israel’s history. While there is much to say about Joshua and the battles to take the land, perhaps the key things to think about this week are shaped by the fact that Sunday will be All Saints Sunday. It is a day to remember those who have gone before us and what they have done to ensure that the faith has been passed on to people like us. Just as Joshua was urged to remain faithful and devoted to God’s Word, many of our ancestors remained committed and faithful in their own times and places. Just as Joshua was called to be courageous and take bold actions, many of our forbearers acted with courage and boldness in their settings as well. A reason to study people like Joshua in scripture and to remember the saints in our own lives is the impact they can have on us. Gratitude for their witness and work can (and should) remind us of the importance people have, not only in their own time but also for generations to come. You and I are the saints of today and will be remembered some All Saints Day down the road. 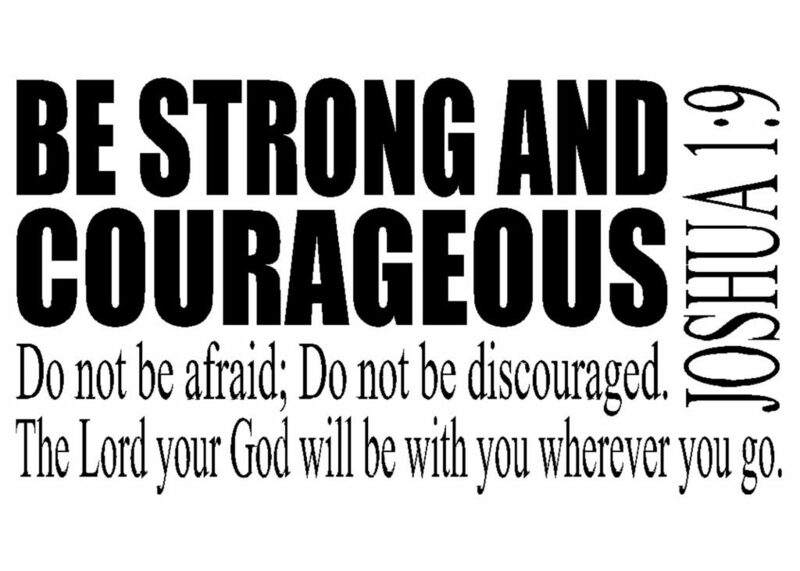 It is important for us to dwell in God’s Word, commit to being faithful disciples, and act with courage and boldness to face the challenges we face in our time. Who knows, some day in the future someone may be remembering each of us with thanksgiving – glad for the hard work we have done in our time to be faithful as well! 330 Griswold St. Elgin, IL 60123.